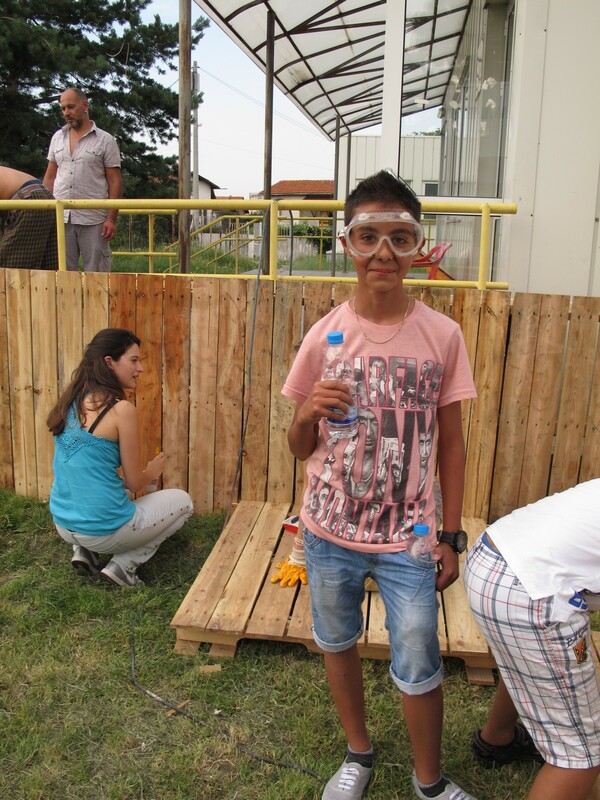 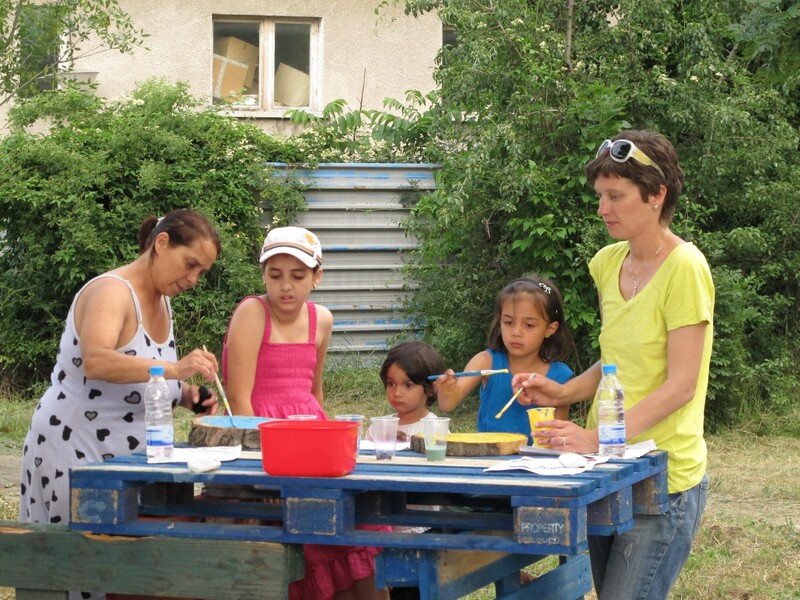 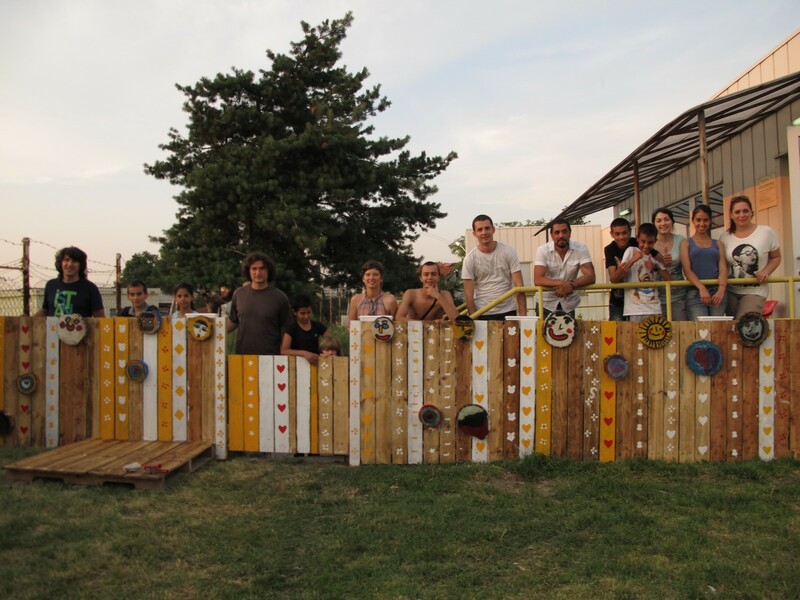 At the end of June, the Transformatori team participated in an initiative for enhancing the outdoor space of a kid’s center in the Fakulteta region in Sofia (one of the least developed in the capital). 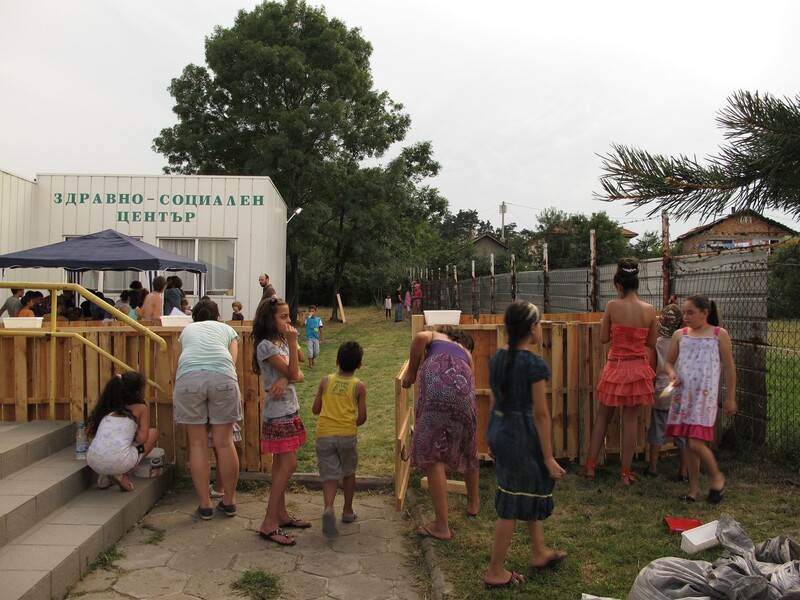 The project named “New life” str. 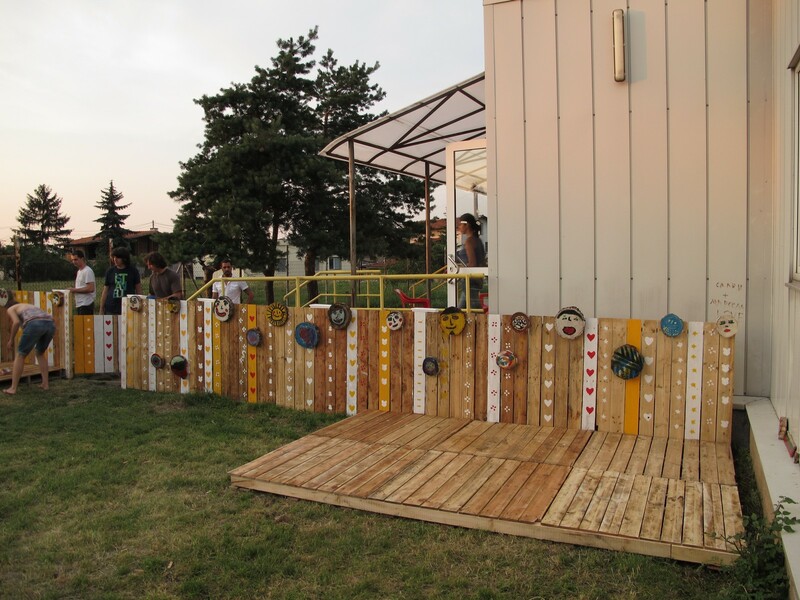 was organized together with Compote Collective association and was part of the “West park” festival by Credo Bonum foundation and the Sofia Commune. 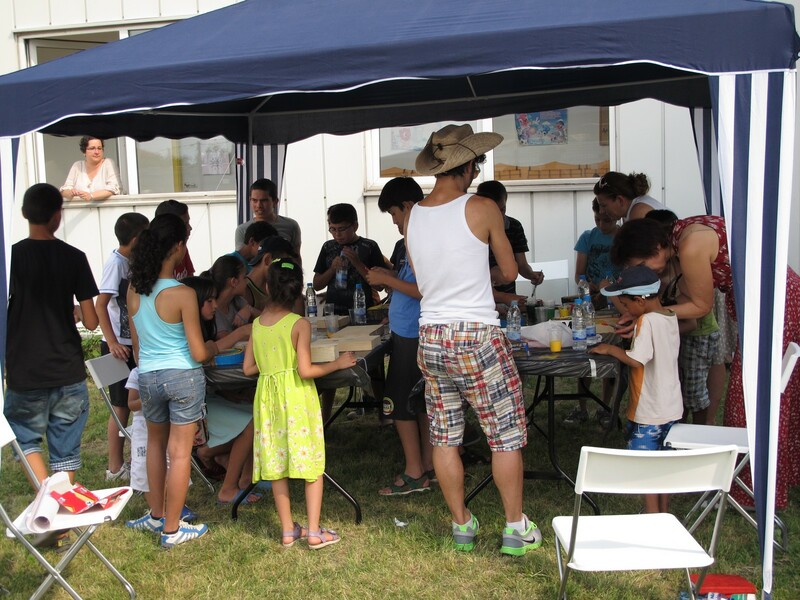 The creative workshop was on 20th and 21st of June in the yard of “Health and social development” foundation. 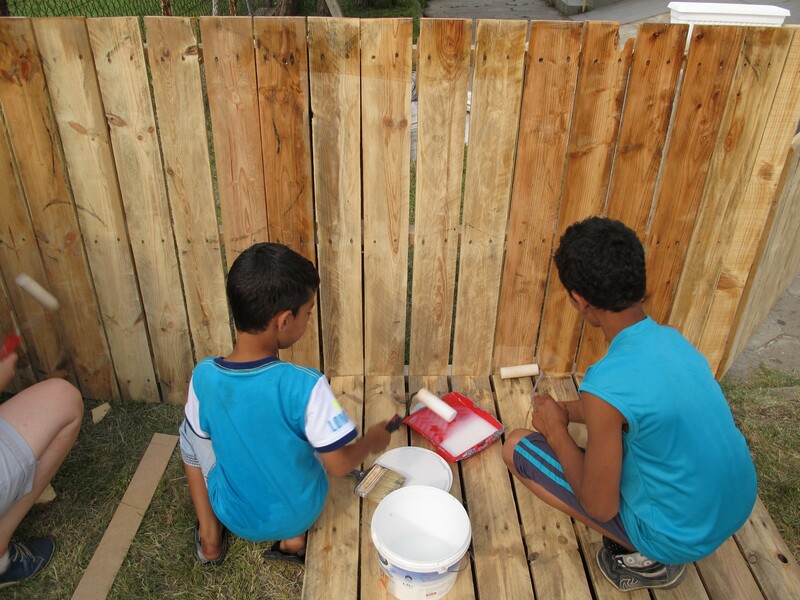 Its aim was not only to build up a new kid’s corner but also to encourage the kids themselves that they are able to transform and maintain their own surroundings. 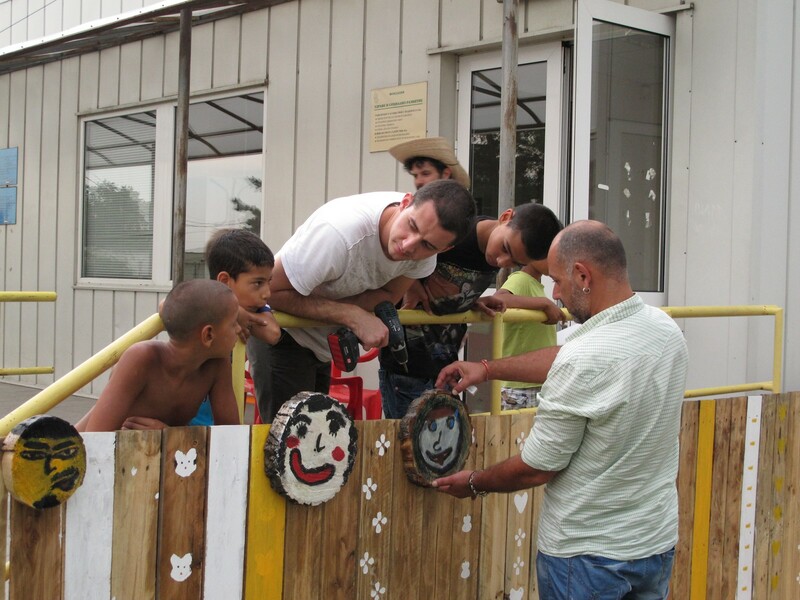 The artists and animators from Compote Collective were working with the toddlers to paint on wooden disks, stones and later to decorate the newly constructed fences, benches and climbing frames. 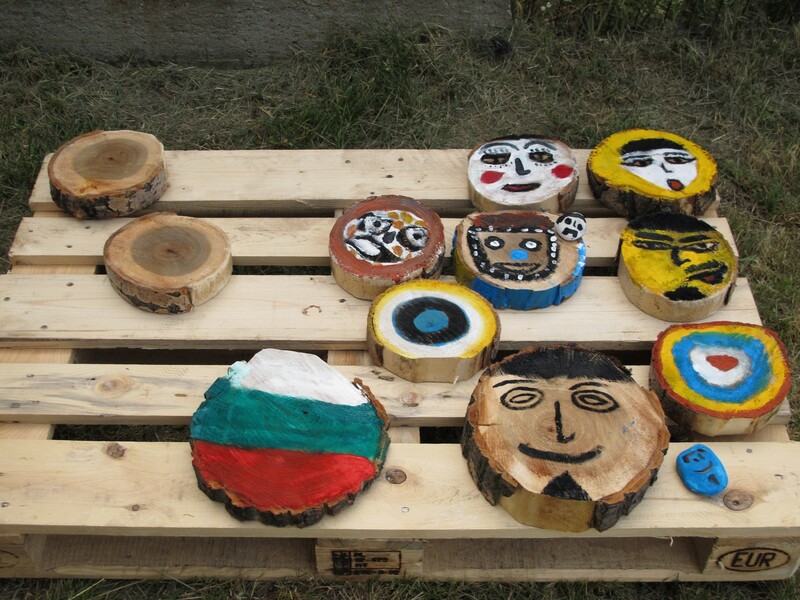 These were part of Transformatori’s role in the workshop who worked with the older kids. 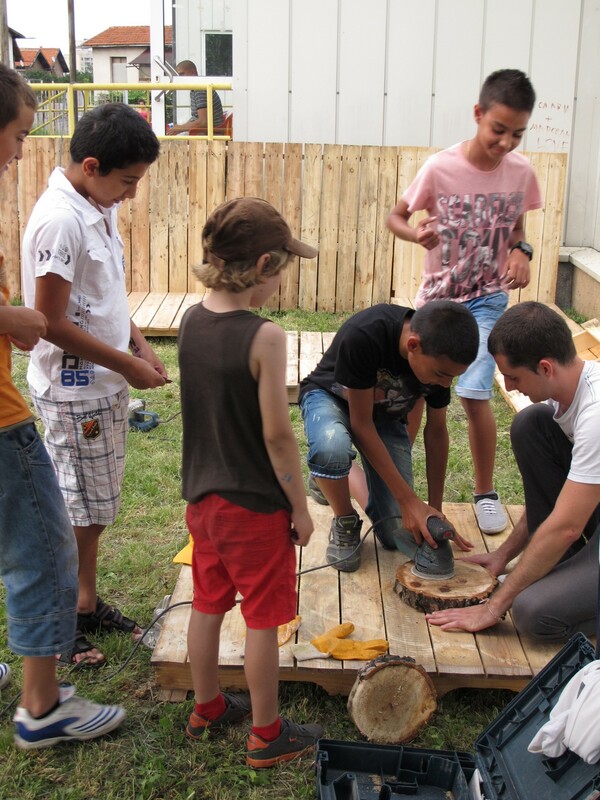 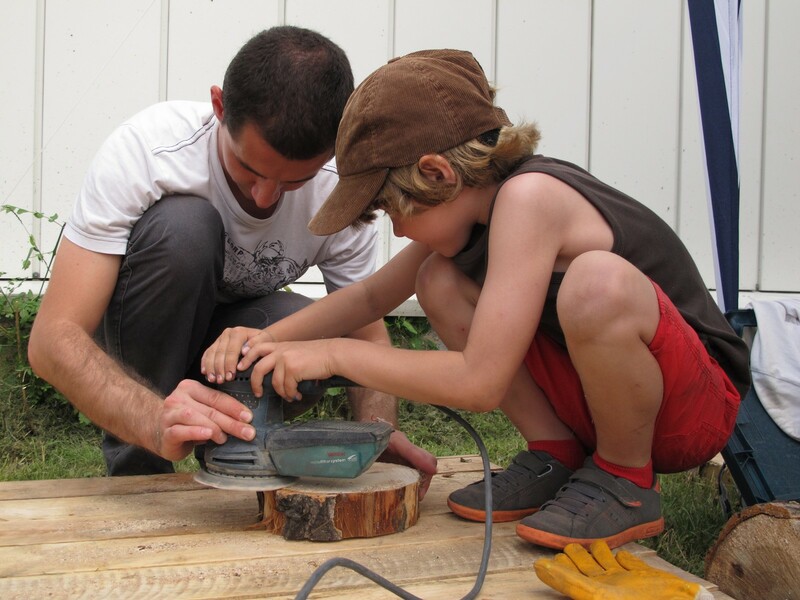 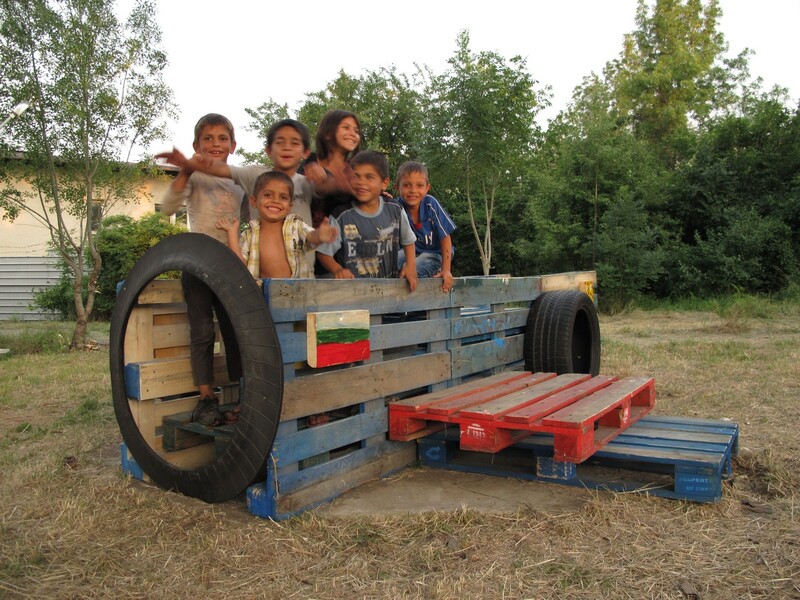 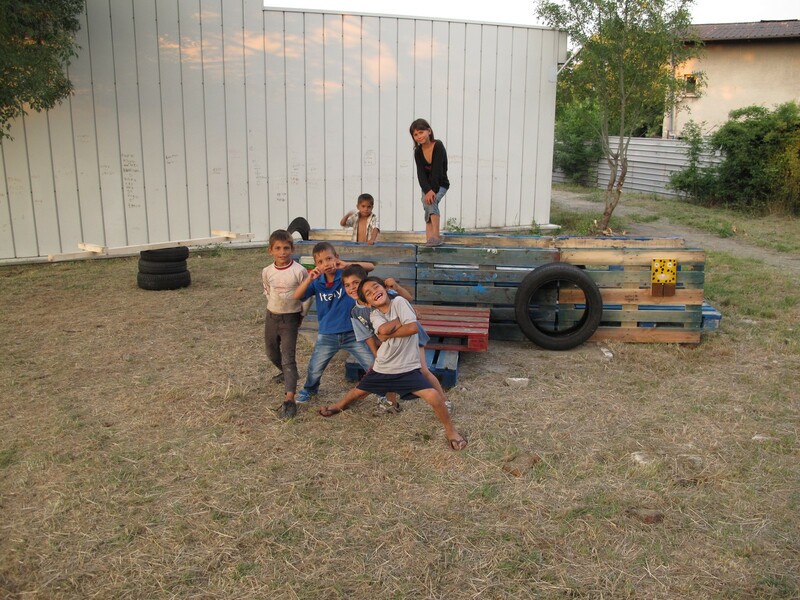 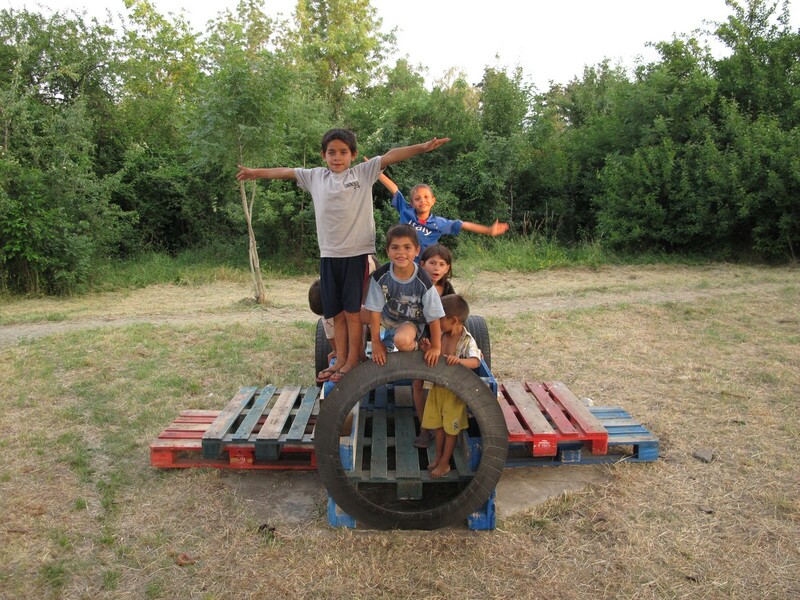 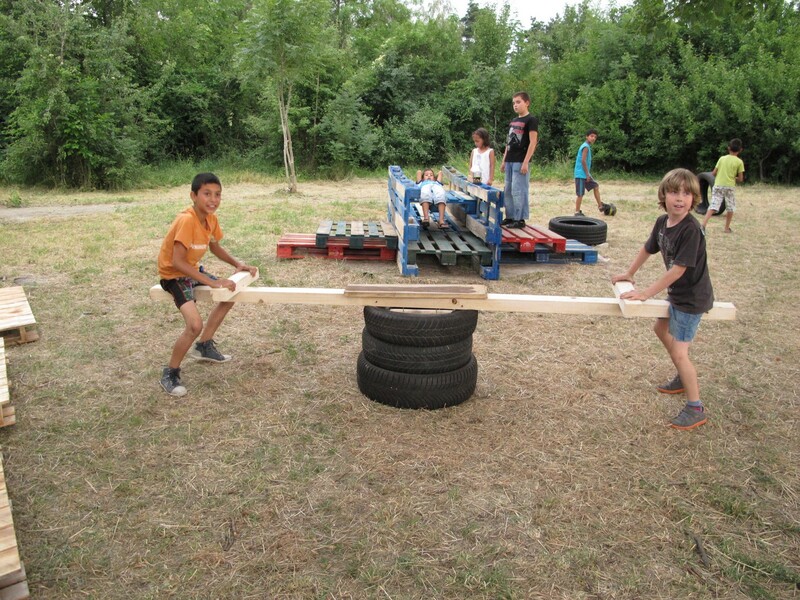 During the event, wooden pallets, planks, automobile tires and other re-used materials took shape of urban furniture for the yard, developing it into a safe kid’s space for participation, fun and play. 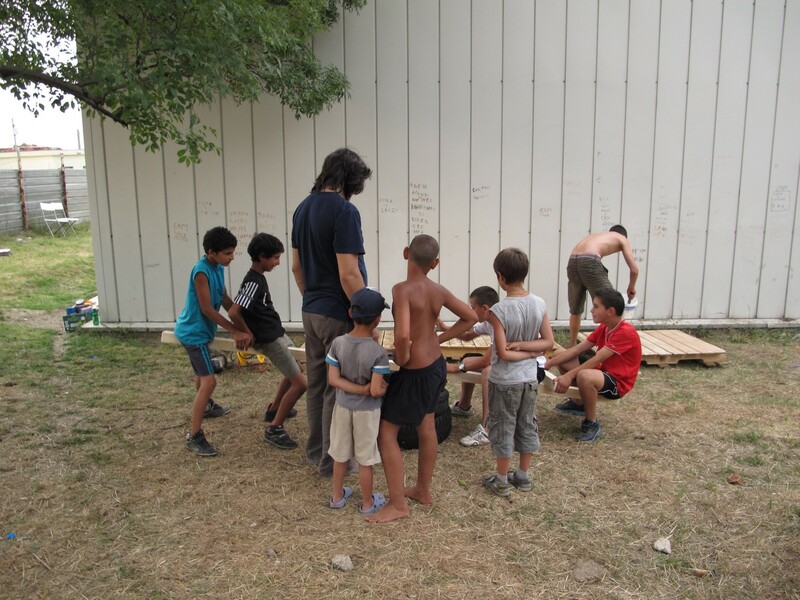 At the end of the two-day workshop “New life” str., the kids from Fakuleteta had taken part in the creation of the first kid’s corner in their neighborhood. 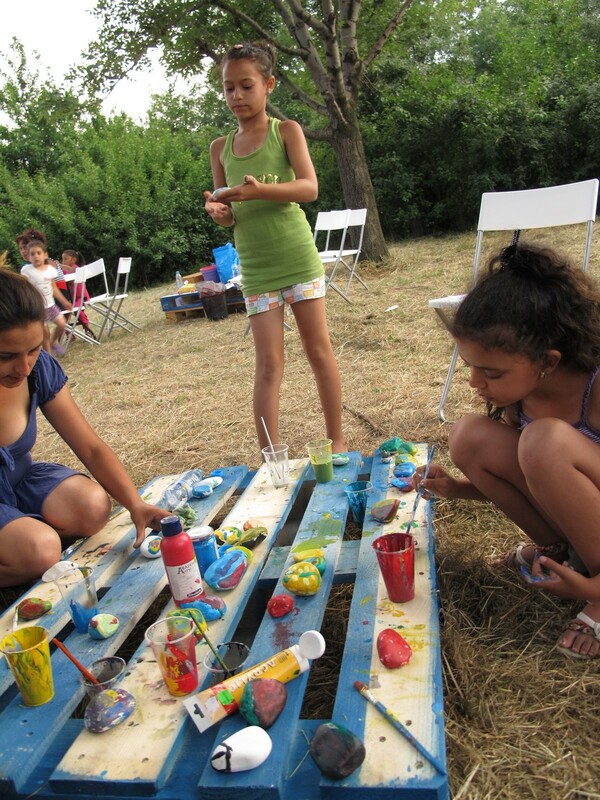 With the help of the illustrators from Compote Collective, the architects from Transformatori and other young volunteers, the kids were able to use their imagination creatively and understand how they can re-design in an easy and fun way their environment, both aesthetically and functionally.